Root filesystem mounted fine under squeeze, and after I upgraded to wheezy. I've been living with it for a bit, so I'm not exactly sure, but I think it started after doing a dist-upgrade on wheezy, but that could be coincidence. The machine is a Lenovo T400 FWIW. Any pointers would be much appreciated. Hopefully I'm doing something obviously wrong and fixable, but if not any hints about how to debug? It appears that /etc/init.d/checkroot.sh isn't being run at boot, and that's the script that finally remounts root as rw (if I run it after boot, it does exactly that). I'm using Debian testing/wheezy. There are dependency annotations in /etc/init.d files, but beyond that I'm not sure how to tell more about the init system. After rebooting twice (first time could have been my confusion, but I added some further instrumentation to checkroot.sh between them), I'm back up with rw on boot (and the problem with listening to/requesting from localhost disappeared, so I guess it was related). 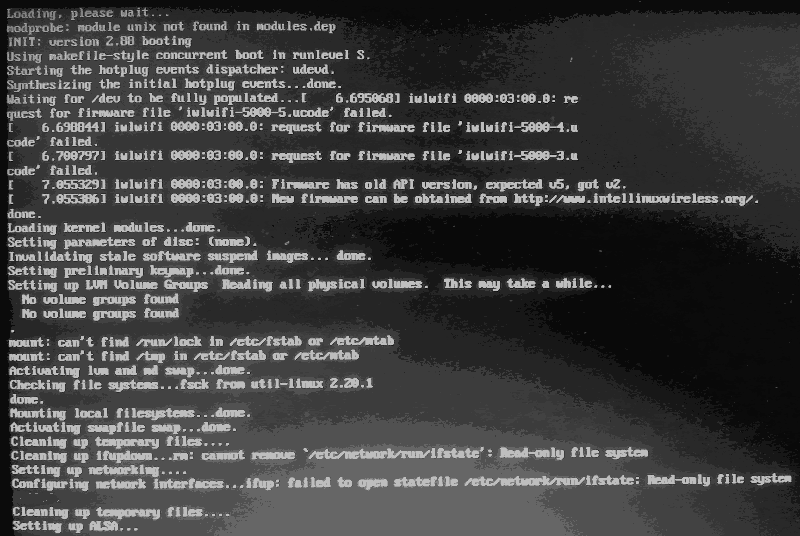 There is an error on your /root filesystem and fstab remounts /root as read only. is what is causing /root to mount read only. the  filesystem superblock, and can be changed using tune2fs(8). You should ultimately find out what is wrong with your /root filesystem. 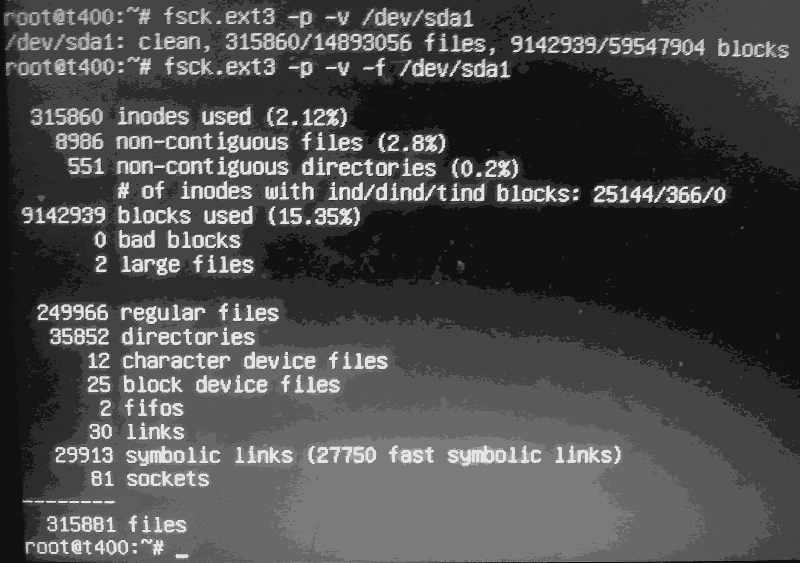 You can easily boot from a rescue disk and run an fsck on /root. If you choose to ignore the potential errors, just change the line in fstab to errors=continue. I had this problem, and it was caused by the wrong UUID for the root FS being set in /etc/fstab. I guess some upgrade auto-detected it and got it wrong. Remount the / partition rw, using blkid to get the right UUID and replace in /etc/fstab fixed it for me. Your root filesystem isnt being mounted read/write because youre not telling it to. Your mount options are only errors=remount-ro, there's nothing about read/write in there. The standard practice is to have defaults in your mount options. defaults provides several other mount options, one of them is rw, thus providing read/write. So you need to add either defaults or rw to the options field of your fstab. From thinking about it a bit more (and from discussion in comments below), the defaults and rw options might not fix it. The reason being is that the remount behavior is entirely dependent upon the distro's init scripts. I've seen distros pull the mount settings from fstab on boot, but its also possible that the init script is completely ignoring fstab options when it goes to remount root (and uses some hard coded settings in the script). Why does e2fsck fail during boot, but not later?